Providing no shortage of opportunities, New York has a sheer volume of national, discounted and luxury retailers which can be overwhelming for a local let alone a tourist. Looking to save or splurge, no problem, the city where dreams are made will make you think you’re dreaming with all of the shopping possibilities. When it comes to shopping in New York, the options are limitless. 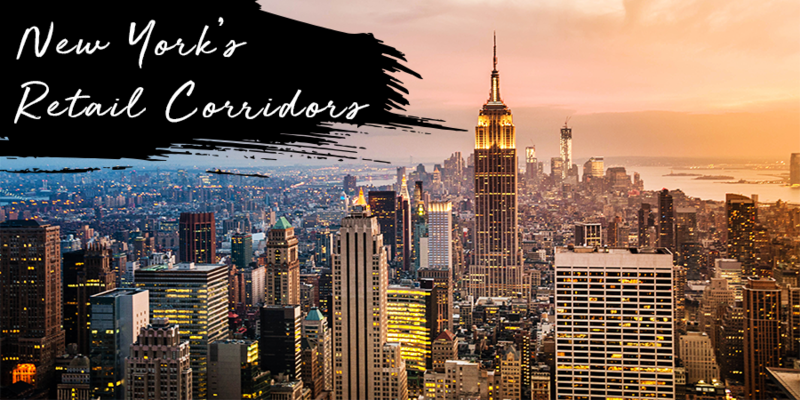 Home to the top three most expensive retail corridors in the U.S.: Upper Fifth Avenue, Times Square and Madison Avenue, you will find many of the world’s best brands and countless of other up and coming retailers. But don’t forget about Union Square, SoHo and the Meatpacking District who all have evolved into retail hot-spots. There’s a reason why New York is known as a global shopping capital and online and international retailers are targeting its retail corridors for entry. The only problem New York has to offer is where to begin shopping. Don’t forget to download our New York City Retail report to learn about its retail corridors and view its average asking prime retail rents, annual rent growth rates and average cap rate ranges. Categories: Americas Retail, Retail Cities, Retail Transactions, Retailers and tagged city retail, JLL Retail, New York, NYC, Retail Corridors, retail real estate, retail rents, Retail Research, Retail Transactions, retailers.